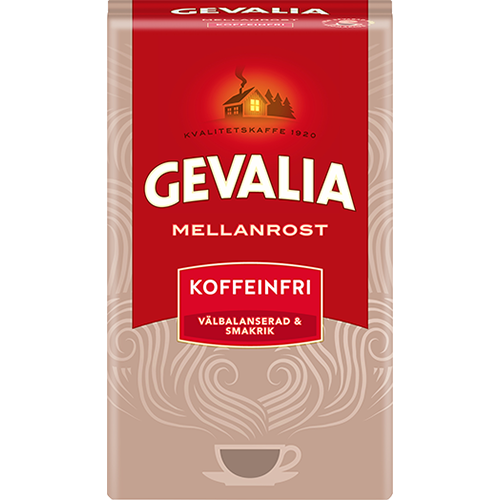 Gevalia decaffinated ground coffe is suitable for all who wants a decaffeinated coffee and appreciate Gevalias wonderful character. It is made with a unique method that removes the caffeine while all the fine aroma and flavor is preserved. Gevalia decaffinated is made up of selected beans from East Africa and South America. The result is a balanced coffee with a wonderful aroma and slightly sour aftertaste.